On Thursday, in an unanimous ruling from three judges on the 9th US Circuit Court of Appeals rejected anti-Muslim Trump administration’s limited view of who is allowed into the country under the president’s travel ban from seven Muslim-majority countries. Thanks to the organized Jewry, Islamophobia has been spreading like a wild forest fire across Europe and North America. India, Myanmar, Sri Lanka, Ethiopia and several other non-Muslim countries are not far behind. However, there is one non-Muslim nation where Muslim minority in not persecuted based on religion – that nation is Japan. The main reason for the religious tolerance in Japan is the commonalities between Islam and Shintoism – as both of them are not religion in the western sense of the word. Both claims to be the Way of Life (No separation between government and church). Islam was introduced to Japan by Arab, Malaysian and Indian Muslim traders in early 19th century. The biography of the Prophet Muhammad (pbuh) was translated into Japanese language in the 1870s which helped in the spread on Islam in Japan. There are little over 100,000 Muslims in Japan – 5% of them being local converts. However, in 2013, Israeli professor Mordechai Kedar (Bar-Ilan University) claimed that Japan is the only country in the world which is not victim of Islamic terrorism because there is no Muslim in Japan. Professor Hassan Ko Nakata (Doshisha University, Kyoto) converted to Islam at age 19 as result of 1979 Islamic Revolution in Iran lead by Imam Khomeini. 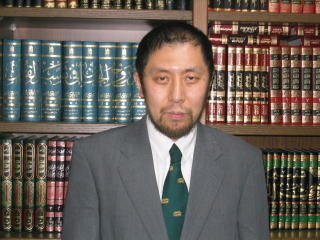 Dr. Nakata has published and translated many books and academic texts on Islam. He is also a community activist and sits on the board of directors of the Japan Muslim Association. “I was interested in religion in general. When I entered Tokyo University in 1979, I became a member of the Bible Study Circle and studied the history of Christianity and Judaism. The Iranian Revolution impressed upon me the fact that Islam is the most active religion in the world. That is why I became very interested in studying it more deeply,” says Nakata. “My case is obviously unique since I am one of a very few ethnic Japanese who have converted to Islam, and moreover I have managed to get a job as a professor of Islamic studies which allows me to practice Islamic obligations like the daily Prayer (Salah) freely. It has been an interesting experience since Islam is totally contradictory to the Japanese way of life,” he adds. The Jewish-controlled media has accused Dr. Nakata of recruiting jihadis for the ISIS. Since ISIS is a creation of Israel – I have to take their word! This entry was posted in Muslim Scholars and tagged Islamophobia. Bookmark the permalink.